Hamilton will rejoin the WDE Motorsport team for the forthcoming season after contesting five race events for the Ashford based squad last year. Born with Cerebral Palsy, he is an ambassador and inspiration for disabled athletes and to compete in the Clio Cup requires modifications to his car (such as a hand clutch and minor pedal adjustments). 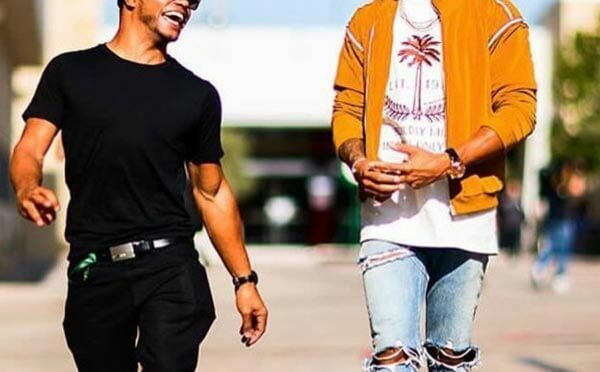 Hamilton, also the 25-year-old brother of four-times Formula 1 World Champion Lewis Hamilton, commented: « I’m super excited about getting back in a car as, after Silverstone last year, I was contemplating quitting motor sport all together. Now after working as hard as possible to raise the budget over the winter, I am so proud to have independently secured the support of my sponsors to give myself the best opportunity this year. 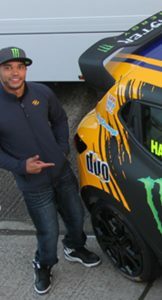 Hamilton’s brand and profile makes him a big hit with the vast numbers of public that come to see the Clio Cup race alongside the BTCC. Notably for 2018 he will have a new-look car, with JET Petroleum becoming his primary sponsor along with Monster Energy, DUO Plc, BigChange, Ark Build Plc and Ark MEP Plc. The 2018 Renault UK Clio Cup gets under way with its opening two rounds at Brands Hatch on Sat 7/Sun 8 April. All 18 of its rounds will take place at the BTCC’s high-profile events meaning it appears in front of huge trackside crowds (38,500 on average in 2017) and also live on ITV4.